New Uses for a Triune Trailer! Triune builds custom specialty trailers that can fit any needs. If you’re looking for fresh ideas for your organization, consider a trailer solution from Triune. 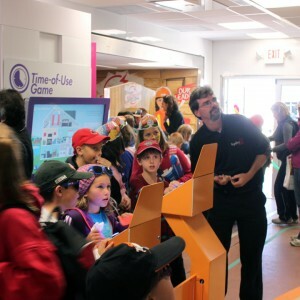 An experiential marketing trailer is sure to wow your audience. Not only are you able to show off your products, but also immerse your customers in your brand environment with an interactive showroom. Whether you are showcasing a product or a service, a marketing “experience” trailer is sure to leave a lasting impression. Triune built a custom double expandable trailer for Mitsubishi Electric. 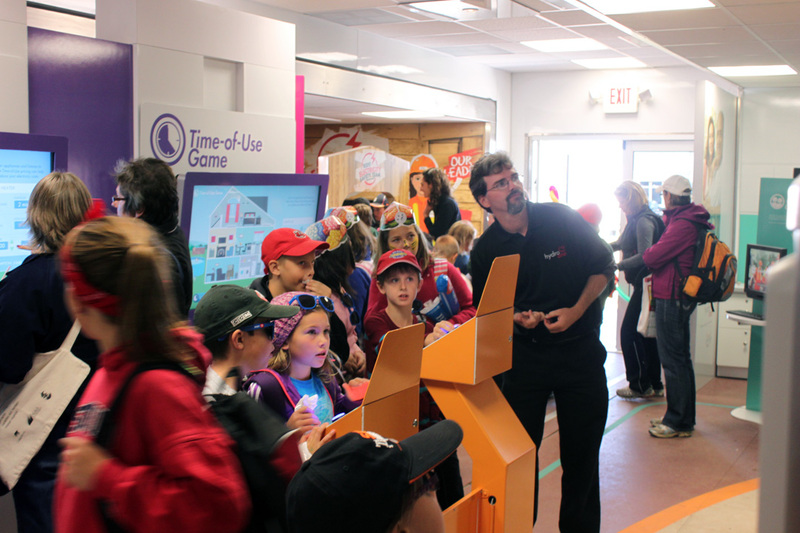 This “Solutions in Motion” trailer serves as a marketing and PR event showroom. 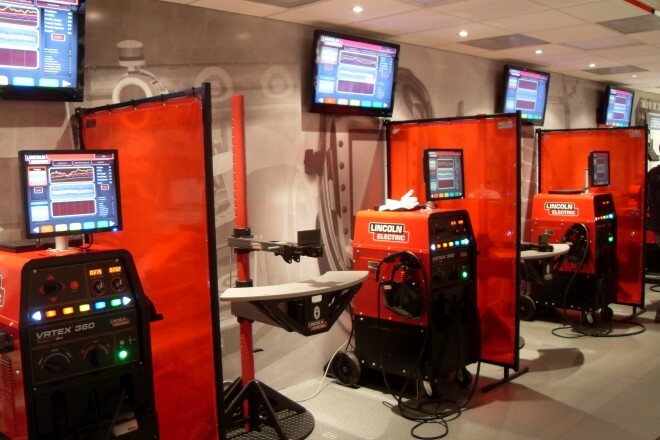 It features demonstration pods, high-definition video monitors, and a wide range of manufacturing applications. Click here to view pictures of the Mitsubishi marketing trailer. An education, classroom or training trailer brings learning right to your door. From a temporary classroom to a completely customized mobile laboratory outfitted with the latest technology, Triune can build a solution that fits your needs. Take a look at the training trailer we built for PSEG. PSEG Fossil, like many power utilities, has plants spread over a wide geographic area. Providing sufficient training to employees across the system was a challenge. The solution was simple, efficient and cost-effective: Triune-built double-expandable welding and training trailers. The trailers bring the training right to the plant, eliminating travel expense and increasing productivity. Click here to view pictures of the PSEG training trailer. Triune builds command centers for disaster response that can be outfitted with the latest audio/visual technologies and satellite and wireless connectivity. Triune’s capabilities also include trailers outfitted to help the injured and others in need. Our mobile hospitals and clinics can be made to size and classification type to meet your medical needs. Outfit it with patient recovery, HEPA filtration systems, vacuum pump systems, redundant power systems and more. Triune built the Cingular Mobile Response Unit for optimal efficiency. Our quality craftsmanship guarantees durability and sustainability whenever disaster strikes. To see more pictures of the Cingular Mobile Response Unit, click here. Our utility and industrial trailers are built to perform–in any weather and on any terrain. These mobile solutions are built with the latest technological advancements, ensuring you’re getting what you need to your exact specifications. Triune built a custom trailer for DTE, “The Workhorse.” This 20-foot-long, specialized trailer has a 3,500 lb., 12-volt winch for incredible towing capacity and spacious interior and exterior storage compartments for all of the necessary tools and gear. It features (TAT) Triune Adhesive Technology, a reduction of steel to eliminate corrosion from the elements and coated with special high-impact resistant paint. Dependable and tough – just like the farm horse after which it is nicknamed. Click here to view pictures of DTE, “The Workhorse” utility trailer. The standard ISO shipping container can and has been used as a base for many creative possibilities. Its capable foundation provides a multitude of different trailer solutions to fit your needs. Triune can upfit and out-do your trailer expectations with specialization options such as flip-down stages, doors and windows, complete power and electrical wiring, HVAC climate control and more. Triune outfitted a custom container for ArtRoad, a non-profit in southeastern Michigan that brings art into schools and classrooms that lack it in their curriculum. Click here to see pictures of ArtRoad and other Triune custom containers. Time-Lapse Video Shows Triune Building a Trailer!